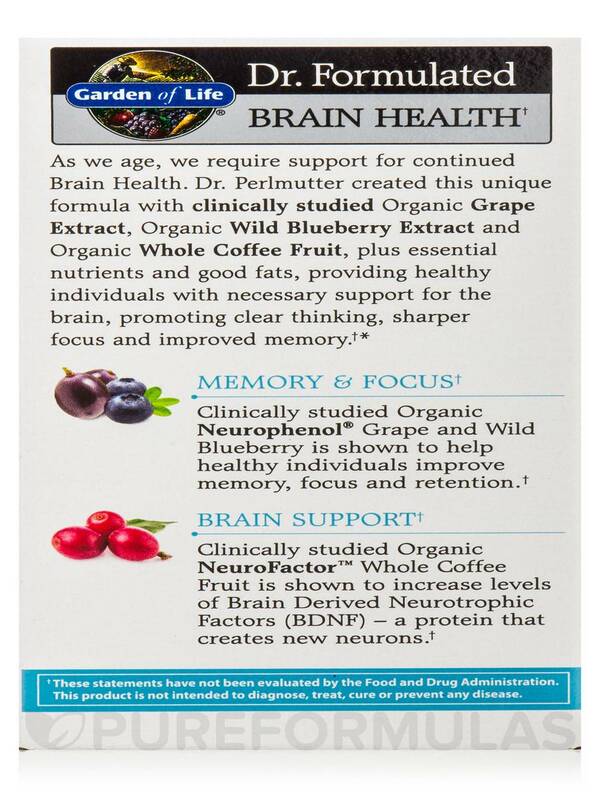 As we age‚ we require support for continued Brain Health. 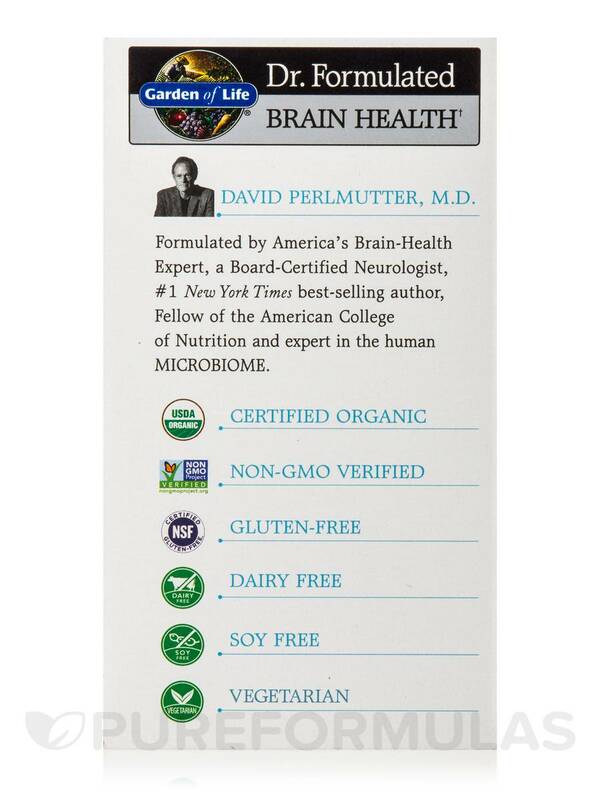 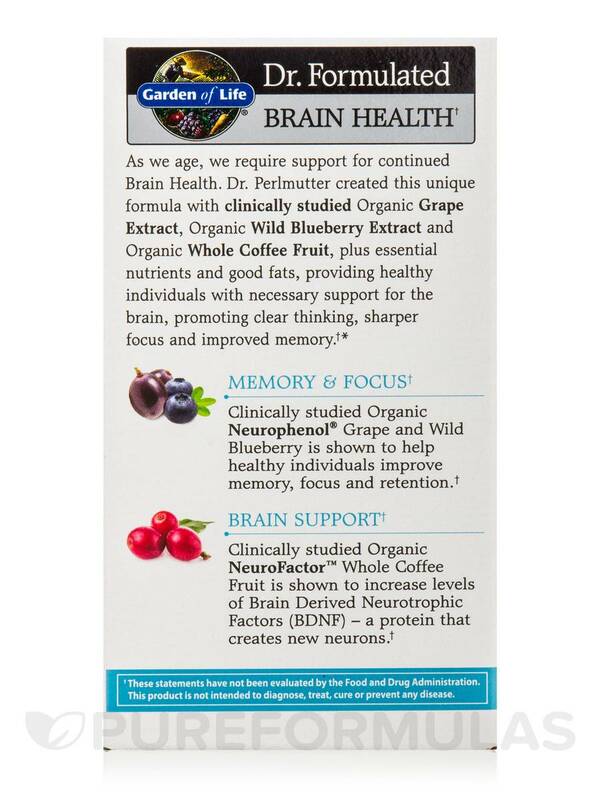 Dr. Perlmutter created this unique formula with clinically studied Organic Grape Extract‚ Organic Wild Blueberry Extract and Organic Whole Coffee Fruit‚ plus essential nutrients and good fats‚ providing healthy individuals with necessary support for the brain‚ promoting clear thinking‚ sharper focus and improved memory. 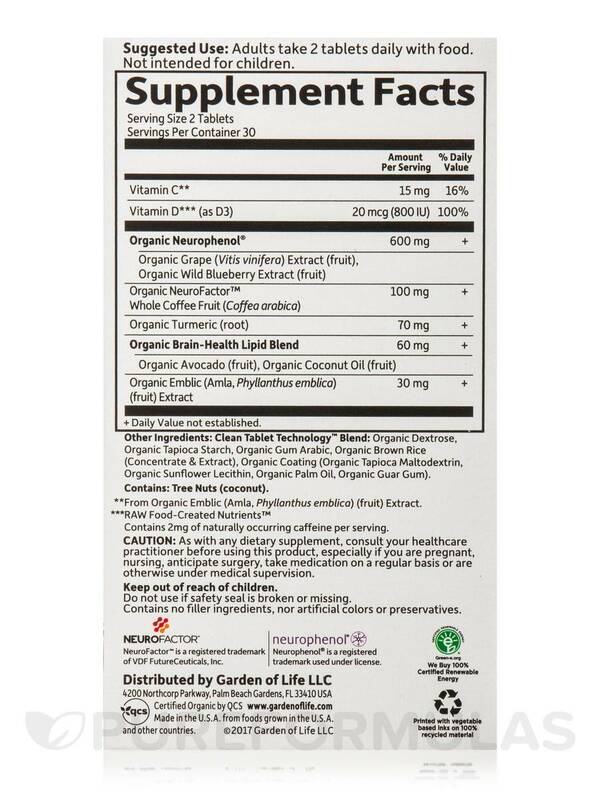 Organic Grape (Vitis Vinifera) Extract (Fruit)‚ Organic Wild Blueberry Extract (Fruit). 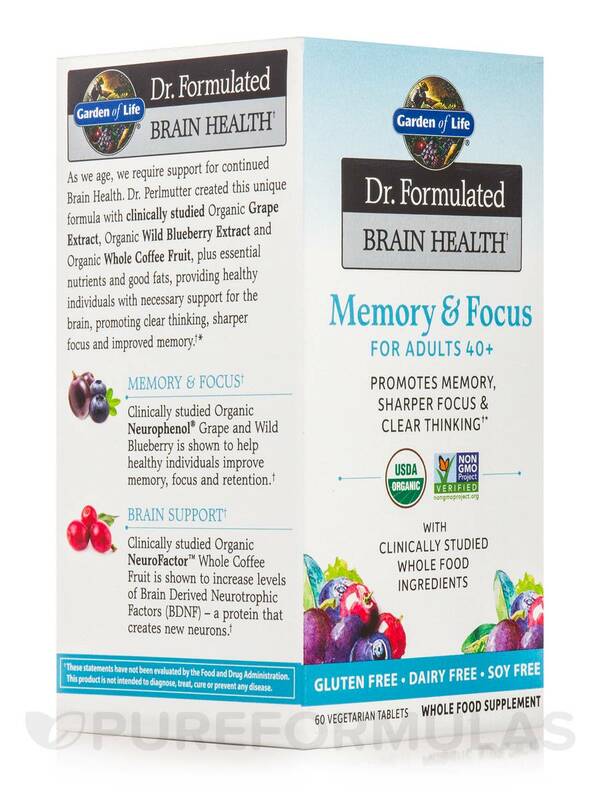 Other Ingredients: Clean Tablet Technology™ Blend: Organic dextrose‚ organic tapioca starch‚ organic gum arabic‚ organic brown rice (concentrate & extract)‚ organic coating (organic tapioca maltodextrin‚ organic sunflower lecithin‚ organic palm oil‚ organic guar gum). 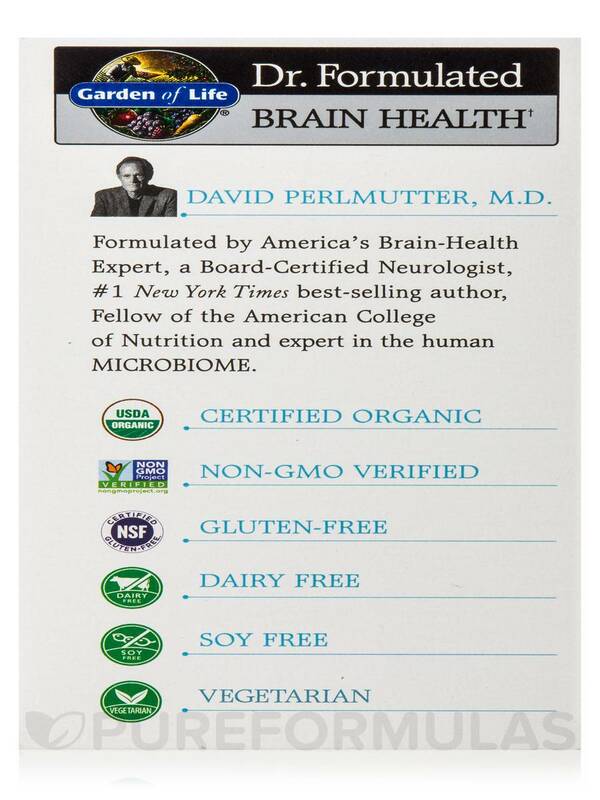 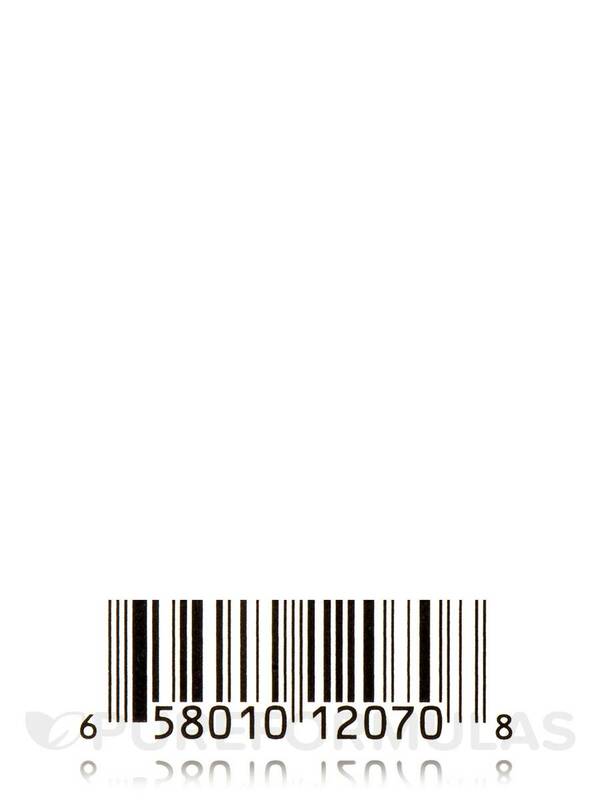 USDA Organic / Non-GMO Project Verified / Gluten-Free / NSF Certified / Dairy-Free / Soy-Free / Vegetarian. 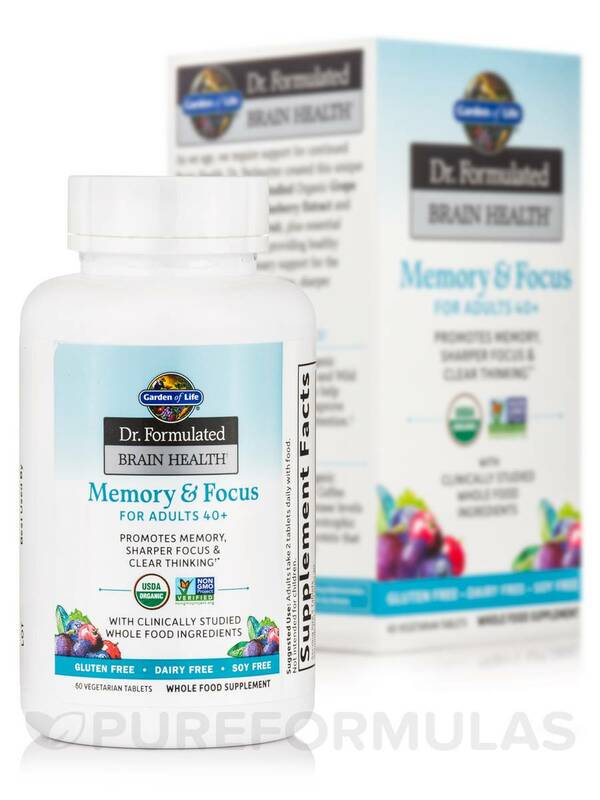 Clears the fog; improves memory! 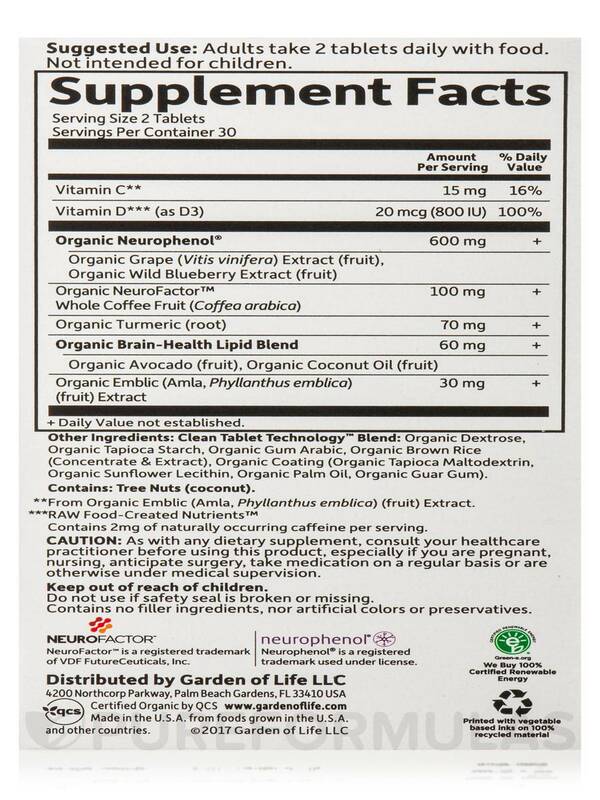 Taking a medication and another item complicated the uptake of the strength; confusion occurred. 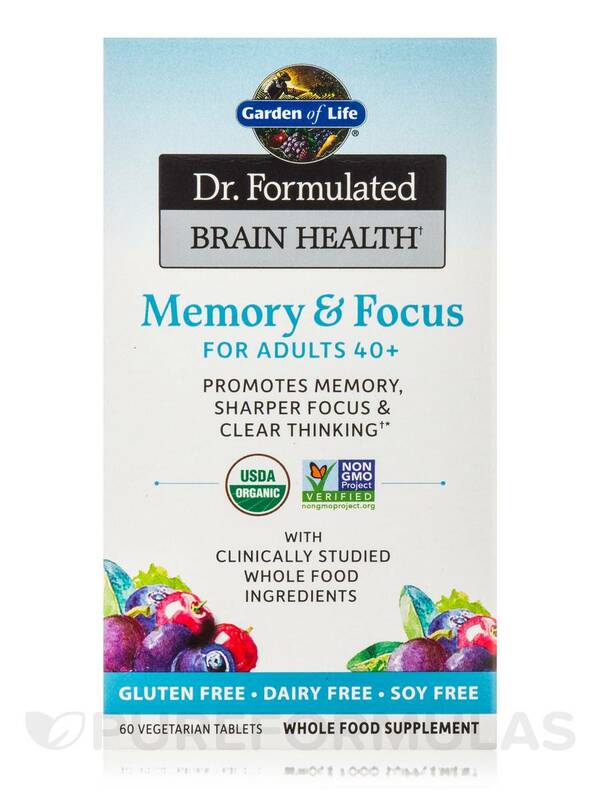 Started this Brain Health Memory & Focus for Adults 40+ by Garden of Life immediately. 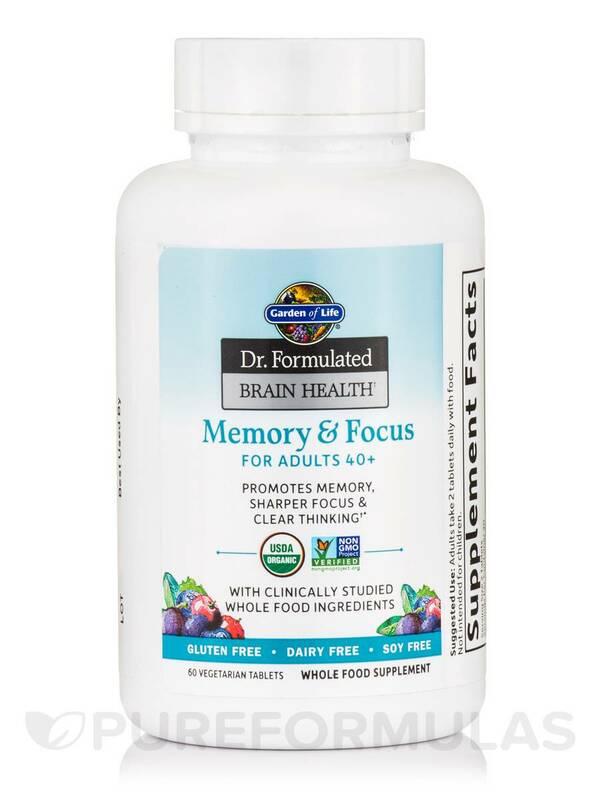 No after effects of mixup, and my memory is clearer than it has ever been.